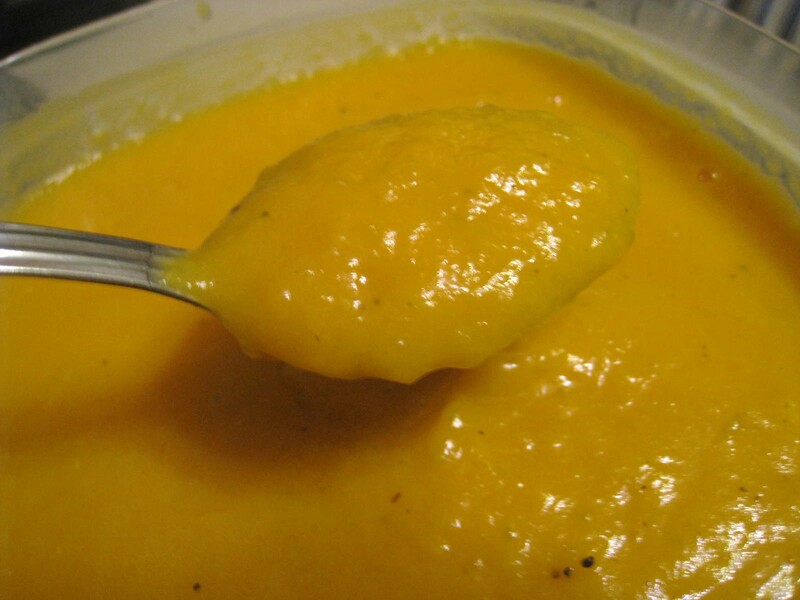 I love butternut squash soup but have never made it. I wanted to find a recipe that didn’t include cream, since I’m still trying to lose these last 5-10 pounds. This was perfect, especially on cold and rainy days! Roasting the squash creates a rich, caramelized flavor that adds depth to the soup. If you don’t have time for roasting, you can always cook the squash in the broth. Place squash in a 15x10x1 in baking pan lightly coated with cooking spray. Drizzle with 1 tablespoon olive oil and sprinkle with salt and pepper. Toss to coat. Bake uncovered at 425 degrees for 30-35 minutes until tender, stirring every 15 minutes. Set aside. In a Dutch oven or large stockpot, sauté the onion and celery in the remaining tablespoon of olive oil until tender. Stir in the broth and reserved squash. Bring to a boil. Reduce heat, cover and simmer for 15-20 minutes. Remove pot from heat and cool slightly. In a blender, puree the soup in batches until smooth. Return to the pan and heat thoroughly. Season with additional salt and pepper as needed.